The early childhood educational program is planned throughout the year around the individual child’s needs and developmental growth. Teachers plan engaging, challenging and supportive learning programs that give children every opportunity to learn by building on existing knowledge, skills and interests. The program is based on intentionally planned play-based learning activities. 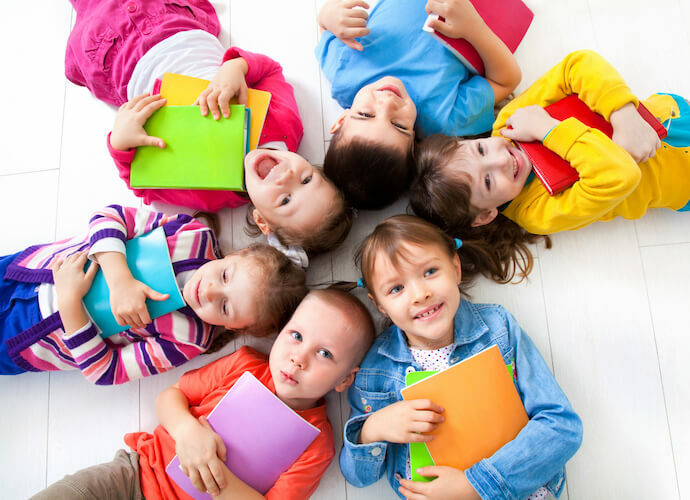 Activities are designed around clear learning outcomes including early literacy and numeracy, social and emotional development and a developing sense of being, becoming and belonging. The Early Years Learning Framework and Australian Curriculum guide what we expect students to achieve in the early years. Please come in with your child and say ‘hello’ and introduce your child and yourself to the staff. We will show your child where to place their personal belongings. Please place you resource list items in the boxes provided or hand to your classroom teacher. Have a look around the centre and familiarise yourself and your child with the surroundings. Please show your child where the toilets are located. Settle your child on the mat with a puzzle or book. Please feel free to stay with your child as long as he/she needs you. Please be assured that we will contact you if any problems arise. Full cooperation between parents and staff can help your child enjoy and experience a happy, stable and rich learning environment. We are looking forward to working and sharing these experiences with your child in the coming year. A large school bag big enough to carry a lunch box, drink bottle, a change of clothes and school work. A water bottle clearly labelled with the child’s name. This item is required every day. Full day Kindergarten – Fruit for Morning Tea and a packed lunch. Half day sessions – Fruit for morning or afternoon tea. Preferably healthy snacks in a labelled lunch box. Please note that chocolates, lollies and chips are not encouraged. Kindy kids are encouraged to wear the Port Kennedy Primary School uniform. Easy to remove footwear is highly recommended. From 2013, Pre-Primary is a compulsory year of schooling. Once a position has been accepted into our Kindergarten program regular attendance is expected. Please be prompt when bringing your child to class and also when collecting them. Please advise the staff in writing if anyone other than the usual parent is to collect your child. Each class has a collection book which may be filled out with details of collection. You may also phone the school to make last minute arrangements. If your child is going to be away, please advise the staff. Please note – prior to session times staff are engaged in preparatory activities. They are therefore unable to supervise your child until the session begins. Kindergarten and Pre primary children are able to order LUNCHES ONLY from our school canteen. Please place your lunch order bag (available from the school canteen) into the canteen basket located inside your classroom at the start of the day. Remember to clearly label the order with your child’s name and class number. A menu will be sent home with the school newsletter. Kindy children usually start ordering lunches from around mid term 1 once the class has established routines. Please note the canteen is open every day. neither slushies nor ice creams are to be ordered. the canteen is not available for recess items for Kindy and Pre primary children, lunch orders only. older siblings are asked not to bring canteen items down to the younger children during recess and lunch. Kindy children may only order water from the canteen, no juices or milks. As Kindergarten and Pre Primary are often the first big steps away from home for a child, it is very important that there are strong communication links between parents and the school. Talking about school as a pleasant experience which the child may look forward to. Visiting for a session to enable you to watch your child playing and to share experiences together. Sending your child to school regularly and promptly. Taking an interest in the work your child brings home. Praising his/her efforts and setting reasonable goals for him/her. Listening to their ideas and comments. Reading often to your child and listen to audio books. Play with your child regularly. Engage in many experiences outside of the house such as bush walking, beach hunts etc. Using consistent discipline and encouraging self control and focusing on encouraging positive behaviour. Go shopping together to buy a special lunch box and drink bottle, and things children will need such as a school bag and uniform items. Label all children’s belongings with their name. Booklist items do not need to be labelled in kindy. Make life easier by buying clothing with large buttons or velcroe so children can dress themselves. Being able to get themselves ready will also be a confidence boost for children. Discussing with us any information which will help us understand your child. Parent Roster – this is available to give parents the opportunity to come and see their child interacting with others and being involved in the Early Childhood Program. Parents are invited to put their name down on the roster when it is convenient. Other family members such as aunts, uncles and grandparents are also welcome to assist in the classroom. Helpers are asked to complete the Confidential Declaration form (available at the front office) before volunteering in class. If you have younger children, we would prefer you made other arrangements for their care while you are on roster, however, if you cannot, we would rather have you in here with them, than not at all. Classroom Helpers, Parents and Canteen Volunteers are required to wear a visitors badge, sign the register and complete declaration forms before assisting in the classroom. Laundry roster – every week we have a small amount of laundry that is sent home to be returned early in the following week. Your child’s teacher will advise you about the weekly laundry. 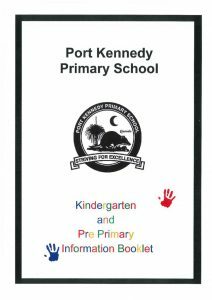 Please refer the Port Kennedy Primary School Information Booklet for more information on the organisation of our wonderful school.